Heat oven to 350°F. Spray 13x9-inch (3-quart) glass baking dish with cooking spray. In medium bowl, beat eggs and pepper with whisk until well blended. In 12-inch nonstick skillet, melt butter over medium-high heat. 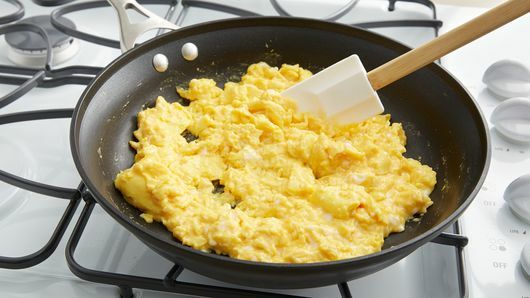 Add eggs; cook, stirring occasionally, until eggs are firm but still moist. Remove from pan. Keep warm. 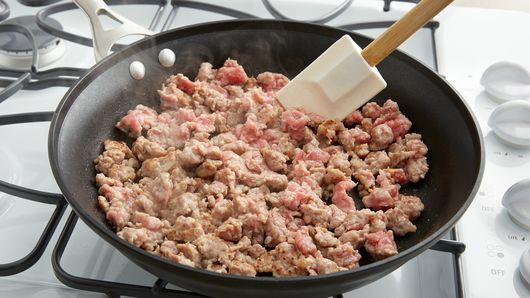 In same skillet, cook sausage over medium-high heat 3 to 4 minutes, stirring occasionally, until browned and thoroughly cooked. Drain. Meanwhile, make gravy mix as directed on package. Stir gravy into sausage. Pour half of the sausage mixture into baking dish. Top with half of the cooked eggs; repeat layers. Separate dough into 8 biscuits. Cut each biscuit into quarters. 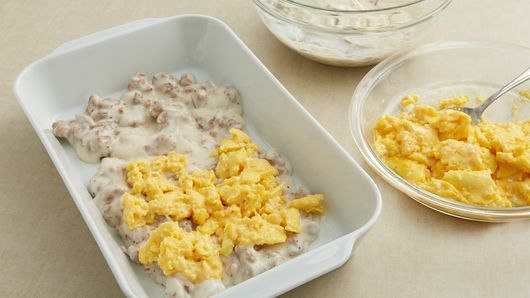 Place biscuit pieces on eggs. Bake 20 to 25 minutes or until thoroughly heated and biscuits are golden brown. Sprinkle with onions. 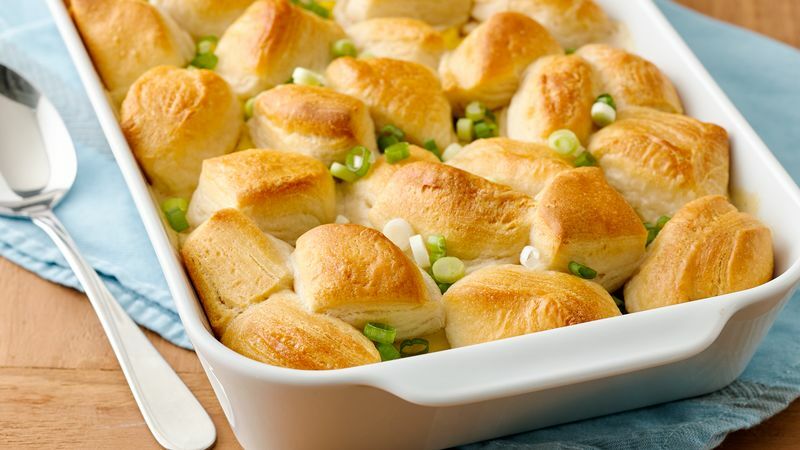 Want a cheesy biscuit gravy and sausage bake? Sprinkle 1 cup shredded Cheddar cheese on biscuits before baking. 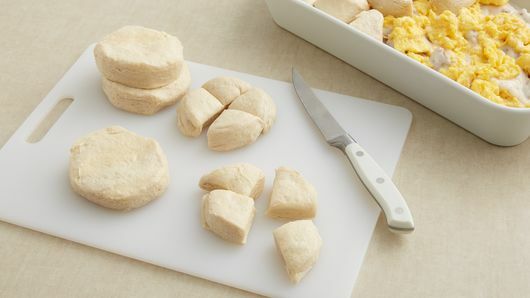 Any Pillsbury™ Grands!™ refrigerated biscuit, such as buttermilk or Golden Layers™, can be substituted for the Flaky Layers biscuits.